178/365 Looking closely at my world, originally uploaded by phlegmmy. And the funny thing is, it was at the end of my day. I had done a couple of scavenger hunt photos, but not my 365's, so I just headed out the back door because the day lilies were all starting to bloom. 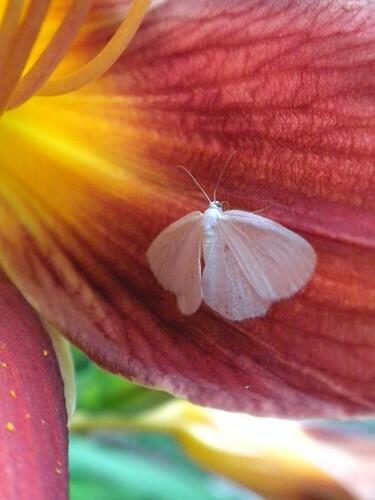 I found a bug battle on a bud and this white moth inside of another.